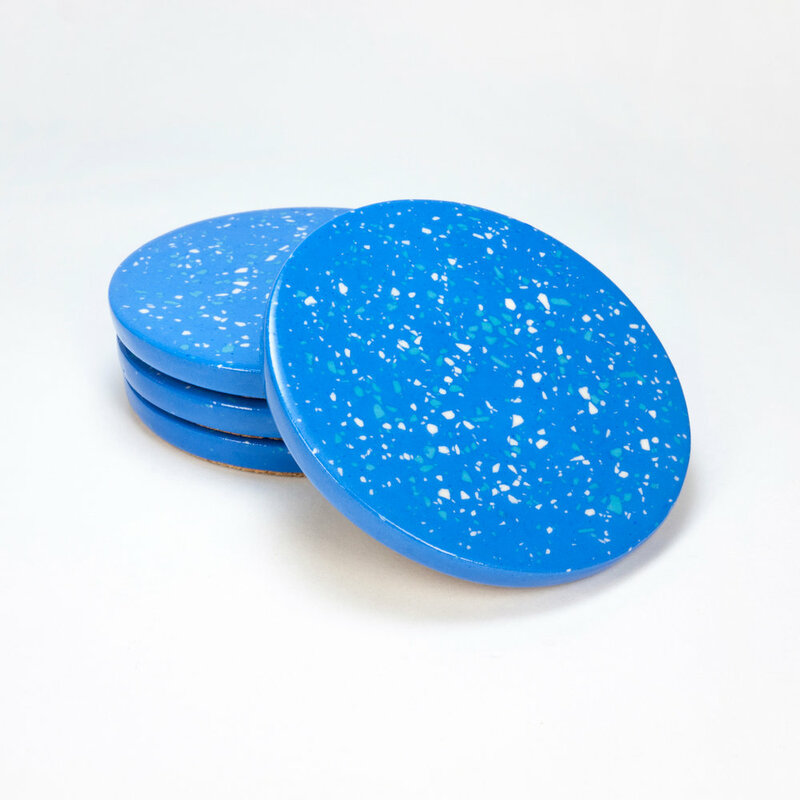 Inspired by a variety of sources such as galaxies, terrazzo, and confetti, the Nova Coasters incorporate bits of dyed and fired porcelain giving them a unique speckled appearance. 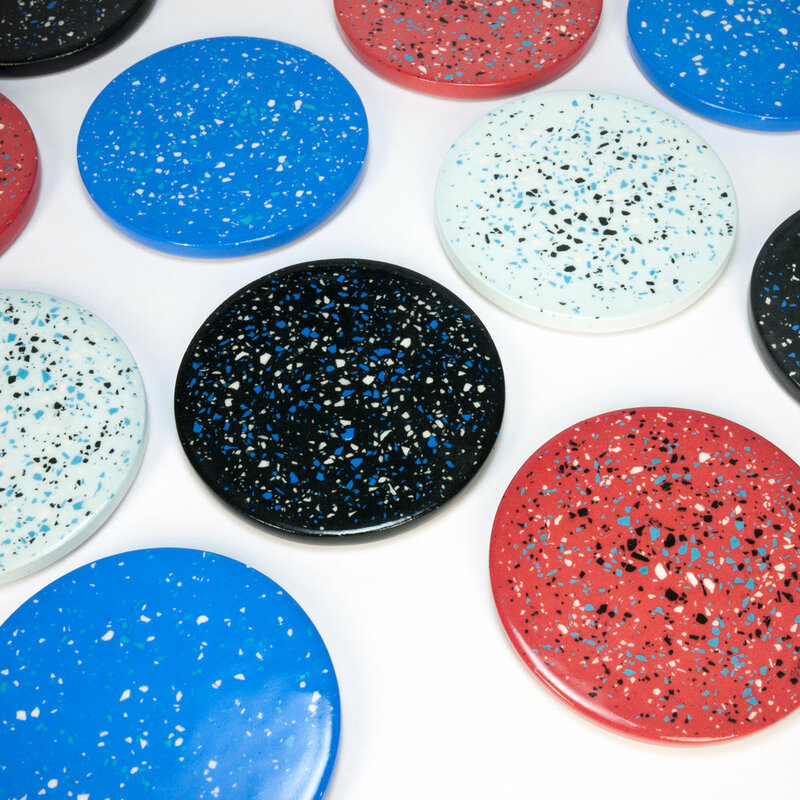 Each coaster contains its own miniature universe. Packaged in sets of 4, either matching colors or a mixed set.